YouTube has announced a content deal with Paramount which will provide access to nearly 500 new flicks. Google Play, formerly known as the Android Market, will also enjoy the additional content thanks to the new agreement. While what movies will be made available remains unknown, that number of movies could include more than half of Paramount's films since the 1950s. The new content will be slowly added over the next few weeks to YouTube and Google Play's movie libraries. The blog post only mentions availability to U.S. and Canadian users, so access to the videos may be limited exclusively to North America. YouTube boasts that it now has content deals with five out of six major movie studios and its rental library contains over 9,000 movies. 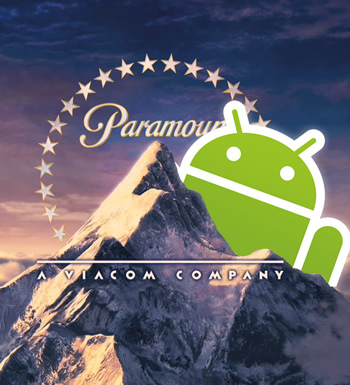 Paramount, the second oldest film studio in existence with 100 years of history, has been increasingly progressive in recent years. The studio has (almost) fully embraced UltraViolet and now offers several dozen films on its own video streaming website, Paramount Movies. In addition, the studio has opened up to mobile devices, developing iOS and WP7 apps which allow users to view streaming content anywhere. Although Google Play Movies offers thousands of films itself, some users may be disappointed to discover that the service does not work with rooted Android devices. Google cites copyright restrictions as the reason, so this may continue to be a shortcoming for quite some time.